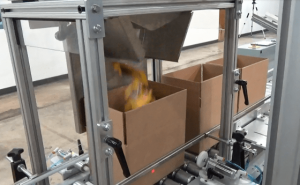 EaglePM offers a variety of automatic solutions for containers, cartons, and components. Eagle’s Pick and Place Case Packer is specially designed to meet the demands of nearly any packaging solution. We are capable of constructing and manufacturing any customized solution to meet the needs of our customers. With its closely and neatly packed design, our pick and place case packer systems can yield a selection of pack patterns and significantly increases your efficiency and productivity. Our pick and place system is uniquely built by our team of highly skilled engineers. We refer it as the “BoxxPak”. It is engineered to combine three processes into one compact and efficient work cell. They are case erecting, hand pack stations (also called product loading stations), and tape and/or case sealing. 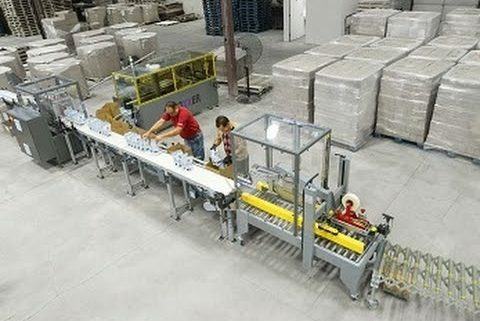 This ergonomically designed pick and pack system carries an automatic indexing system attribute that positions the cases in a specific position. This will help alleviate any operator discomfort and reduce repetitive arm and wrist motions that may cause a strain on the body. It is also operator-friendly. Other features are quick size changeover, conveniently adaptable load stations, and a flexible system configuration. station will help minimize physical stress. This is also much more likely to reduce the chance of injury.